Hundreds of students from schools across Vancouver have collaborated to create a YouTube video called the Pink Project, a creative effort to help spread the message that bullying is not OK. The video features students from eleven different schools dancing to Lady Gaga’s “Born this Way,” all wearing pink shirts with the message “Acceptance; Born this way.” It’s pretty great, and looks like it was a lot of fun to do! Of course, some people just don’t like the sound of childrens’ laughter. 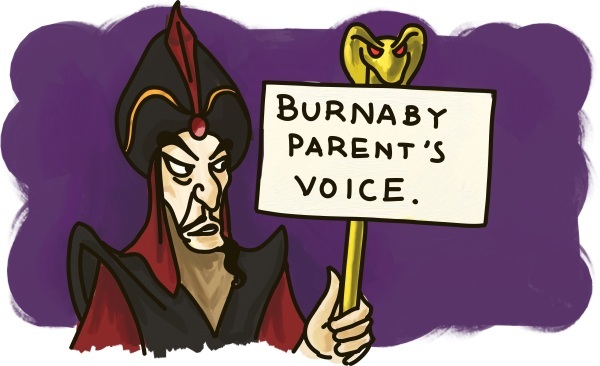 Take Burnaby Parent’s Voice, for example. They’re the anti-gay lobby group that was formed exclusively to oppose the Burnaby School Board’s anti-homophobia policies. They’ve written the Premier of British Columbia in an attempt to stop the Pink Project video from being posted online. Hey, let’s see if they were successful. The Pink Project: An adorable dance routine featuring hundreds of students against crazy, homophobic bullies like the lobbyists at Burnaby Parent’s Voice. Hmm… Seems OK to me. In fact, it’s more than OK; it’s fabulous! Take Action! "Curing" gays shouldn't be a charitable activity in Canada. Help put a stop to phony charities and Slap into Action! Thanks to readers like you, Slap has been voted the Best GLBT Blog in Canada at the Canadian Blog Awards for the fifth consecutive year!